Part of the benefit of having a beautiful outdoor living space is that it adds to your home’s usable space, and makes it easy and enjoyable to entertain outdoors. And with our beautiful outdoor dining sets, you can make get-togethers even more enjoyable when the weather’s nice. We have 4-tops, 6-tops, and 8-tops, so no matter how big or small your family or friend group is, you’ll find something you can all enjoy right here. 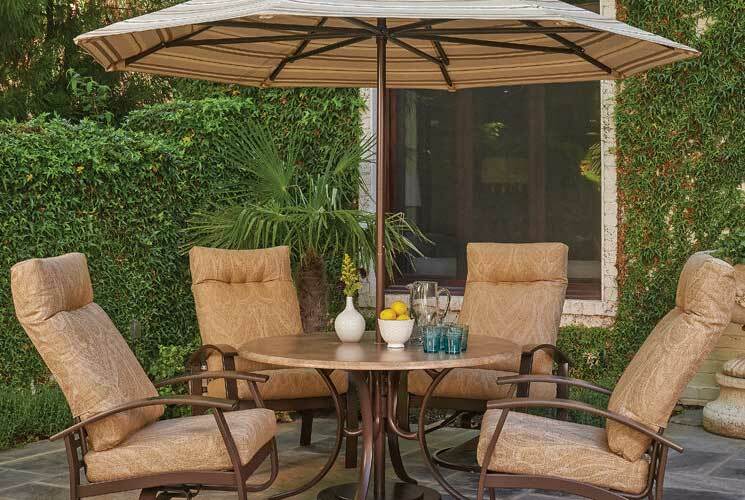 We also have dining sets with umbrellas for those outdoor living spaces that can’t seem to escape the sun. Just let us know what you’re looking for!